This is a very important time of year for huge music and jam band fans. Spring and summertime in Baltimore always means Natty Boh’s, Oriole games, Ocean City and music festivals and outdoor concerts. Summer festivals are a great time because there are always great acts ranging from a variety of genres, and there is nothing but music and happiness in the air for however many days a festival lasts. All of the members in our band have each been to several music festivals over the past couple of years, including Bonnaroo, All Good Festival and Lollapalooza, culminating to some of the best times of our lives. Now that we are in a serious local jam band, the possibility of someday playing a major music festival would be a major point in all of our lives. Vespertine Movement has to work our way up to the big dogs, and a great way to start doing that is by playing local festivals wherever we can. VM has started to do that and we plan on playing a few local festivals this summer in Catonsville, Frederick, and other areas. What is so great about playing local music festivals is the fact that you can get your music out to so many people who have never seen or heard about you before. On top of that, there is not as much stress on selling a lot of pre-sale tickets to fans, friends, and family because a lot of people are there for the festival to see some great live acts. 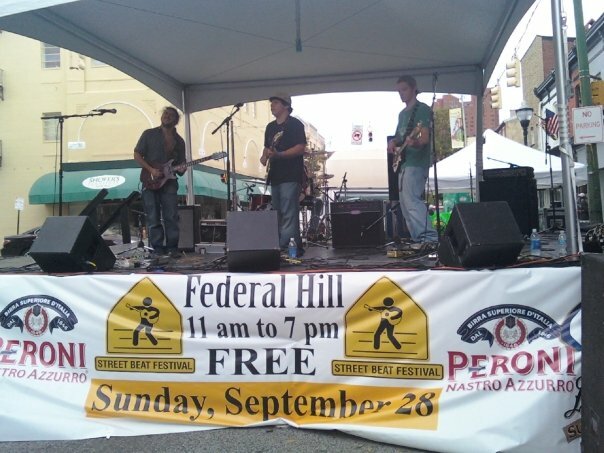 Two years ago, VM got a last minute chance to play at Federal Hill’s biggest music festival, the Federal Hill Street Beat Festival. We shared the stage with some of Baltimore’s best local bands and also had the chance to meet other bands that are not from the area. We played a 45-minute set, and when we first hit the stage there were not too many people by our stage, but by the end of our set there were a couple hundred of people grooving and dancing to our music. It was the best show and day the band has had to date, because we heard so many compliments about our music, got to see some great bands, and we got to meet so many new people that love music just as much as we do. This summer should be a great time and the band is hoping to play some big shows and local festivals so we can spread the word on our music. We will be playing all throughout Maryland, and we hope to get out to Philadelphia, Washington D.C., Delaware, and possibly New York. We are always looking to get new fans who love our music, and music festivals only help the process, so look out for VM to be doing just that this summer. If you want to enjoy a day of hanging out with friends, camping and some great local music, there is a local festival that is just for you going down this weekend. Domefest is a local College Park based music festival that has been planned to bring together the local music- loving community. 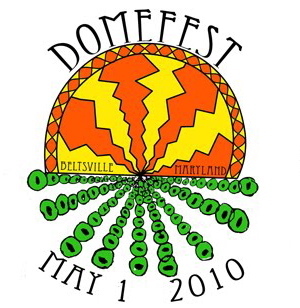 The first annual Domefest will be taking place this Saturday, May 1 at The Domes of Beltsville, a beautiful location that is located just 15 minutes away from College Park and 30 minutes from Baltimore and D.C.
Domefest is sponsored by NORML Terps, Maryland Music Business Society, Terrapin Sound and other groups and radio stations based out of the University of Maryland College Park. 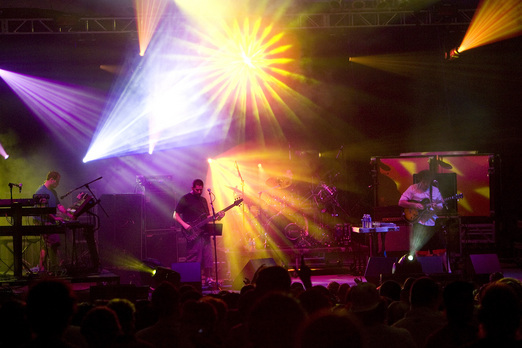 The festival was planned in a collective effort by Jeremy Schon, guitarist for Pigeons Playing Ping Pong, and Ben Curwin, keyboardist for Fivestock. Schon and Curwin have been planning the event for a few months and are real excited about the event and the location. Domefest will feature the music and jams from a group of talented local bands and DJs including: Basshound, Pigeons Playing Ping Pong, Fivestock, The Flying Eyes, Lion Turf, Vasudeva, The Rez, Soohan and DJ Iggz. People in the College Park area have been hyping up the festival, and Schon is very hopeful that the first Domefest will be a success. Domesfest will open its gates at 2p.m. and music will start soon after at 3. Tickets are only $16, and you can order them through the event’s website. Domefest will be a day of clean friendly vibes backed by some of the best local bands in the area. Who’s counting down for music festival season? The season is fastly approaching all of us music fans and festivals around the country are putting their final touches on set lists and other features. The whole music festival experience is indeed a unique and eye opening one, and any music fan should try and experience at least one music festival. Or maybe ten. Music festivals give fans a chance to see a wide variety of bands and musicians with people that share the same passion and love for music as you do. There is nothing but good vibes and happiness at the festivals, and everyone in attendance is just thrilled to be alive listening to incredible music in a gorgeous location. For the bands, playing a major music festival is a huge accomplishment for them and it could probably be the biggest show the band has ever played. This results in some of the best sets of live music you will ever see which alone will make you want to come back again and again. Some of the craziest sets at music festivals are the late night sets. By this point, everybody is really pumped after seeing the headlining band play and the late night sets always seem to result in the biggest parties and raves. The All Good Music Festival has released its 2010 summer lineup earlier today and it is filled with a variety of great bands. All Good, hosted by Baltimore-based Walther Productions, stuck to their jam band roots, and the festival will feature Furthur (featuring Phil Lesh and Bob Weir),Widespread Panic, Umphrey’s Mcgee, George Clinton & Parliament Funkadelic and much more. As always, there will be no overlapping sets throughout the festival, which makes for a better listening experience for music fans. All Good Music Festival will come back to the great environment on Marvin’s Mountaintop in Masontown, West Virginia. 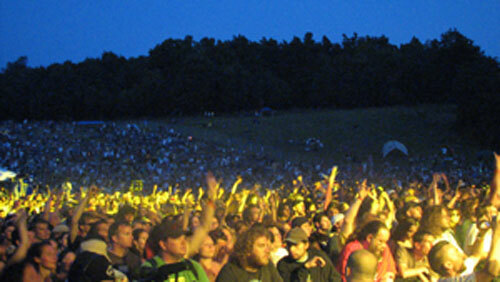 This will be the seventh year “the mountaintop” will host one of the biggest music festival in the mid-Atlantic region. 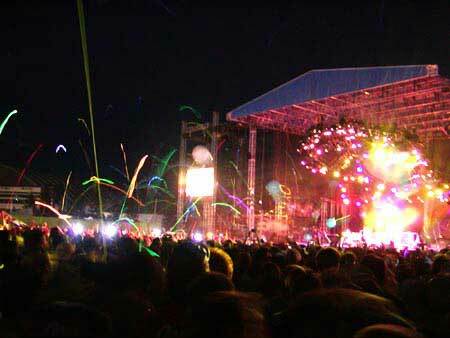 All Good Music Festival will be taking place from July 8-11, 2010. Click here to see the rest of the lineup. What do you think? I hope you like it as much as I do. You are currently browsing the archives for the Summer Music Festival Updates category.